Well, since the last update we've been adding new sites all over the country and passing over free enquiries to law firms, as gestures of goodwill. Additionally we're working with a consultant to further promote our Fee Sharing activities and a lady called Sangeet to develop our Compliance Services. 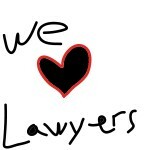 And today we've placed 4 Fee Sharing lawyers ! In general terms it's been an interesting time when you add in that we've had a record month for conveyancing instructions. If you're a lawyer or law firm looking to enhance your marketing activities, source Fee sharing lawyers or take on fresh conveyancing cases please let me know.